The authors salute Dr. Fernando and Dr. Jayatunge for bringing attention to the combat stress–related problems of Sri Lankan soldiers and veterans. 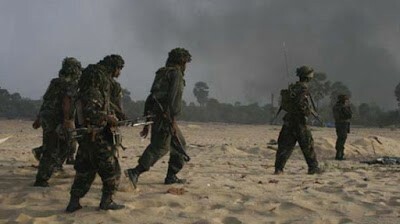 We agree with their assessment, a study is necessary to determine the PTSD rate so screening, case identification, effective treatment and psychosocial support can be provided to the combatants.” In addition, we urge such a study also utilize a random assignment protocol to investigate not only the present modalities of PTSD treatment currently used by the Sri Lankan military, but also a modality, which has already been extensively scientifically validated to reduce stress – the Transcendental Meditation® (TM) technique. TM involves a simple, non-religious, psychophysiological practice, demonstrated in over 600 research studies to reduce a wide variety of stress-related problems. It is practiced twice a day for twenty minutes and is so easy, anyone who can think a thought can to do it. It carries one’s awareness to a profound level of rest, clears out deep-seated stress, and revitalizes frazzled nervous systems. Meta-analyses published in peer-reviewed journals provide more evidence for the superior effectiveness of the TM technique over other practices in the areas of anxiety reduction, reduced high blood pressure, self-development, physiological relaxation, improved psychological outcomes, and decreased use of drugs, alcohol, and cigarettes. Research shows all meditation practices are not the same. In recent studies these practices have been classified into three categories: Focused Attention, Open Monitoring, and Automatic Self-Transcending. Techniques in the Focused Attention category are techniques requiring concentration. Those forms of meditation show brain activity associated with focusing – fast EEG called gamma (20-50 Hz). Techniques in the Open Monitoring category include mindfulness or Vipassana. They are reported to activate brainwaves associated with internal mental processing – theta activity (4-8 Hz). Techniques in the Automatic Self-Transcending category transcend their own procedure – take the attention out of thinking, analyzing, controlling, or watching to a state of pure consciousness. The Transcendental Meditation technique is in this category. During TM synchronous alpha1 (8-10 Hz) activation is seen primarily in frontal executive areas as well as over the whole brain, indicating integrated functioning of the brain. Different meditation techniques use different procedures, have different effects on brain functioning, and so lead to different benefits. The more focused the meditation procedure, the more focused the effects.Techniques of concentration such as Zen are found to activate attentional centers. Another technique in this category, Loving-Kindness Compassion, actives emotional centers of the brain. Techniques of Open Monitoring such as Vipassana are reported to decrease pain perception and have a small effect on anxiety. TM, a technique in the Automatic Self-Transcending, is reported to have a wider range of effects, perhaps owing to the experience of pure consciousness underlying all thought activity. For instance, meta-analyses report that TM practice results in higher levels of self-actualization and greater decreases in anxiety than other meditations. In the bigger picture, research on TM practice reports significant effects on psychological measures – improved moral reasoning, creativity, cognitive flexibility, coping and problem solving, improved health – reductions in blood pressure and in hospitalization, and significant improvement on social interactions. The TM technique is also different because it turns one’s attention inward to experience deeper levels of thought, until one goes beyond active thought and the mind comes to a state of complete inner rest. But the mind is alert. There is an inner wakefulness, and a feeling of calm and peace. This is the state of restful alertness. The brain functions with significantly greater coherence and the body gains deep rest. Research shows the deep rest gained during TM practice is more profound than deep sleep. This allows the body to rid itself of deeply-rooted stresses, especially the stress associated with traumatic conditions like PTSD. For instance, a peer-reviewed, random assignment study on Vietnam veterans who practiced TM (Journal of Counseling and Development, 1985: (64); 212-215), found the technique effectively influenced the neurobiological aspects specifically affected by PTSD. The University of Colorado School of Medicine researchers demonstrated that TM practice had positive effects on symptoms associated with PTSD. Instruction in the technique, followed by three months of regular TM practice, significantly reduced emotional numbness, anxiety, startle response, depression, alcohol consumption, insomnia, and family problems. The TM group also reported improvements in sleep and obtaining/keeping employment. Seventy percent of the TM practitioners reported that they no longer required the services of the veteran’s center. In a new pilot study (under review), Iraq and Afghanistan veterans experienced a 50% drop in PTSD symptoms by the fourth week of TM practice, and greater improvements by two months and three months. This study is summarized in the book The Resilient Warrior: Healing the Hidden Wounds of War (2011) by authorsJerry Yellin and Dr. Sarina Grosswald. But even with impressive results like this, critics might argue that military personnel would not be willing to practice the TM technique. Initially this might be the case, but the results of the practice speak for themselves. For those concerned a perceived machismo pushback” for meditation may prevent Sri Lankan warriors from learning to meditate, should think back through history to great examples of alert, ready and finely-tuned warriors. The ideal might be martial arts experts like thesamurai. They represented the total integration, the total union, of mind and body – quick, clear thinking combined with a precise strong body, working as one. This intimate connection between mind and body is now beginning to be rediscovered in several militaries in Latin America. For instance, an Ecuadorian General was very receptive to the concept and decided to have his warriors instructed in the TM technique on 8 March 2010. As a test case, the General selected two units from training centers where young soldiers received their six months’ basic military training before they were sent to operational units. Each training unit had 300 soldiers who were taught the TM technique, and 200 among them who became advanced experts. 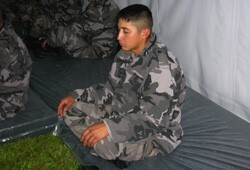 The General set the time and place for the soldiers to practice their meditation program in a group in accordance with their duty routine. 96 % declared their relationships with others improved. Wounded and traumatized military as well as healthy military personnel need – and deserve – every opportunity to regain and/or sustain their health. Research also shows that practitioners of the TM technique rise to a higher level of health. For instance, a 1987 study inPsychosomatic Medicine, a mainstream medical journal, monitored for five years the medical care utilization of 2,000 people who regularly practiced the TM technique. The findings: 50 percent fewer doctor visits and hospital admissions than non-meditators of comparable age, gender, profession, and insurance terms. Multiple statistical reviews published in respected scientific journals provide powerful evidence for the superior effectiveness of the TM program in the areas of blood pressure and anxiety reduction, self-fulfillment, physiological relaxation, improved psychological outcomes, and decreased use of drugs, alcohol and cigarettes. If you are interested in the research, visit this web sitehttp://www.tm.org/research-on-meditation. Today’s warriors train their minds and bodies, but separately. They fill their minds with information about how to respond to every imaginable situation, and train their bodies for strength and endurance. Strong protective armor is provided to protect their bodies from physical harm, but nothing for their minds to protect them from stress. Research on the TM technique indicates that the practice produces beneficial effects for the mind and body, opposite to those of chronic stress. The TM technique is a portable strategy. After learning the technique, all one needs is a comfortable place to sit and close the eyes. No additional resources are needed. The self-reliance of this approach appeals to the warrior mind-set.” Why not try this innovative approach in Sri Lanka and conduct a randomized study comparing it to other modalities of treatment to find the best way to treat PTSD? If this proposed project is successful, military leaders could provide this innovative approach in the healing mix of services to more effectively and efficiently treat the wounded minds of the warriors who protected Sri Lanka. TM offers a do-less-and-accomplish-more approach that can not only help the precious minds and lives of Sri Lanka’s warriors, but also save money in the process. Jerry Yellin was a P-51 Pilot in WWII who flew 19 missions over Japan. Jerry and Helene, his wife of 61 years, have four sons and six grandchildren – three living in America and three in Japan. Jerry is a member of the Military Writers Society of America, author of three award winning books, Of War and Weddings, The Blackened Canteen and The Letter; and is an honorary board member of the Iwo Jima Association of America. 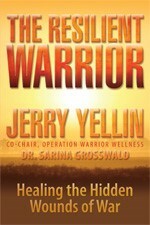 His new book is The Resilient Warrior: Healing the Hidden Wounds of War. 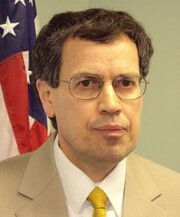 David Leffler, Ph.D. a United States Air Force veteran, is the Executive Director of the Center for Advanced Military Science (CAMS)http://www.StrongMilitary.org. Dr. Leffler later served as an Associate of the Proteus Management Group at the Center for Strategic Leadership, US Army War College. The Journal of Management & Social Science recently published his paper A New Role for the Military: Preventing Enemies from Arising – Reviving an Ancient Approach to Peace,” indicating that the military application of the Transcendental Meditation is merited. 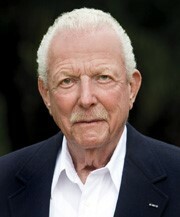 Dr. Leffler is a certified teacher of the Transcendental Meditation technique.